Standing water in the basement before waterproofing. During installation. The concrete has been removed around the perimeter of the basement and through the middle of the floor for the feed line. You can see the standing water. Installation complete. WaterGuard drainage system is installed, and the concrete has been replaced. Installation complete. WaterGuard drainage system and TripleSafe have been installed, and the concrete has been replaced. Installation complete. WaterGuard drainage system, TripleSafe, and SaniDry have been installed, and the concrete has been replaced. Paul S. in La Crosse, WI had a significant amount of water leaking into his basement, creating a damp, unhealthy space. 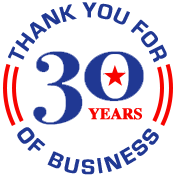 He did his research and was glad to learn that American Waterworks has been the leading waterproofing contractor in the region for 30 years. We sent one of our Design Specialists, Mike Radosevich, to his home to evaluate the situation and to propose a unique solution that fit his needs. He approved of the plan and moved forward with the installation date. Our Foreman, Matt Zeller, and his crew started the project by removing the concrete around the perimeter of the basement and through the middle of the floor. Then, they installed 270 feet of our WaterGuard drainage system, feed line, and two of our recommended TripleSafe sump pumps and battery backups. The WaterGuard properly guides water to the sump pumps, the water is then pumped through the discharge line and expelled from the home. They finished the project with installing our SaniDry Dehumidifier to take care of the humidity. Our waterproofing system is backed by a lifetime warranty, and Paul is glad he made the investment to protect his home.